Nominee cluster managers presented their initiatives, goals and activities during the conference, and participants evaluated Vojvodina ICT Cluster, Croatian Agricultural Equipment Cluster, and Construction Cluster of Slovenia. Milan Solaja, CEO of Vojvodina ICT Cluster was awarded the title of the Best Cluster Manager in SEE. – We engage in a variety of activities, ranging from initiatives in education, over EU and bilateral projects, to lobbying. – said Mr. Solaja, and added: – Long-term vision of Vojvodina ICT Cluster is Digital Serbia, the country where new technologies are recognized as a driver of economic growth and horizontal sector with a potential to support faster development of the entire society. 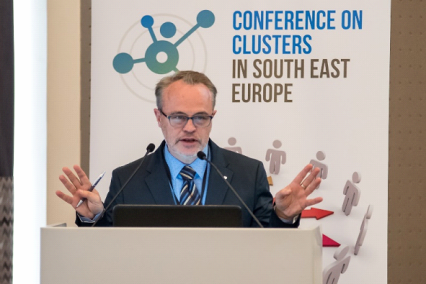 Cluster conference in Dubrovnik, Croatia, established that companies connected into clusters generate more than one third of total GDP! During two days, the conference gathered more than a hundred experts in various sectors from twelve countries. 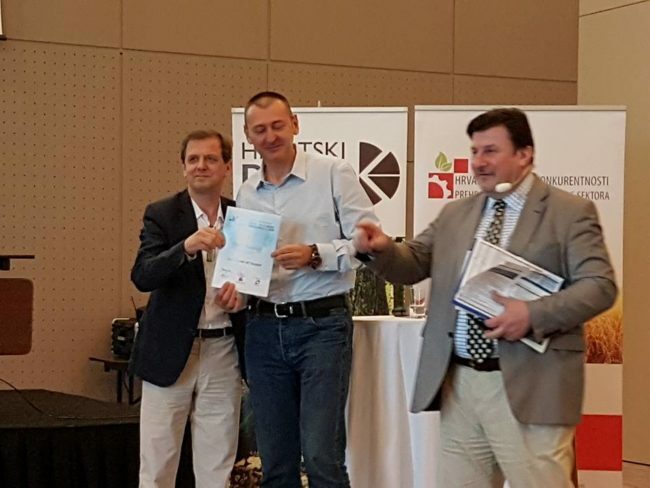 The event was held on April 10th -11th, in organization of the Croatian Wood Cluster and was supported by numerous partners and co-organizers, such as Croatian competiveness clusters. Croatian Chamber of Economy, Agency for Investments and Competitiveness, and Foreign Trade Chamber of Bosnia and Herzegovina were the conference partners. More than sixty international lecturers and panelists presented some relevant topics in a field of competitiveness and importance of networking. This event, organization, location and topics were highly graded by participants. Next cluster conference will take place in Brussels by the end of this year. Corporate networking has become priority economical area in all developed countries. Thus, Southeast European countries, following this example, started developing different ways of business associating, mostly through clusters. Participants agreed that govenrments in Southeast Europe should pay more attetion to clusters and catch up with EU trends where clusters have already transcended the role of drivers of economic gwoth and became creators of multi-sectorial value chains. The conference, held in the Sheraton Dubrovnik Riviera Hotel, has been closely followed through a number of cluster platforms worldwide. Participants from the neighboring countries and the EU consider this event a platform for important debates on the future of clustering in the EU and the application of new cluster models that undoubtedly seek for greater globalization and specialization. At the same time, issues of sustainability and ecological and socio-economic aspects of businesses are increasingly taken into account, which include constantly changing European development guidelines. One of the most notable lectures was held by Florence Castel from the French competitiveness clusters Advancity, on the topic of sustainable development of European cities, at the same time implementing a number of projects, including successful initiatives in Brazil, China, and Canada.